The StorageCenter Plus IV does exactly what it promises – add an astonishing amount of storage to your suite. 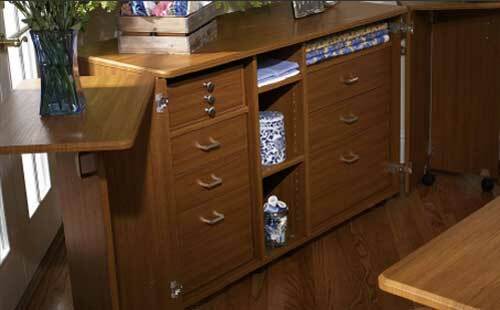 Enjoy 6 spacious soft-touch, self-closing drawers and space for fabric, thread and cutting boards. There’s even a place for your Madeira Thread Treasure Chest. Plus, you’ll have the freedom of over 1.5 square metres of workspace with the optional Outback leaf. Enjoy every centimetre of usable space in your new sewing room.